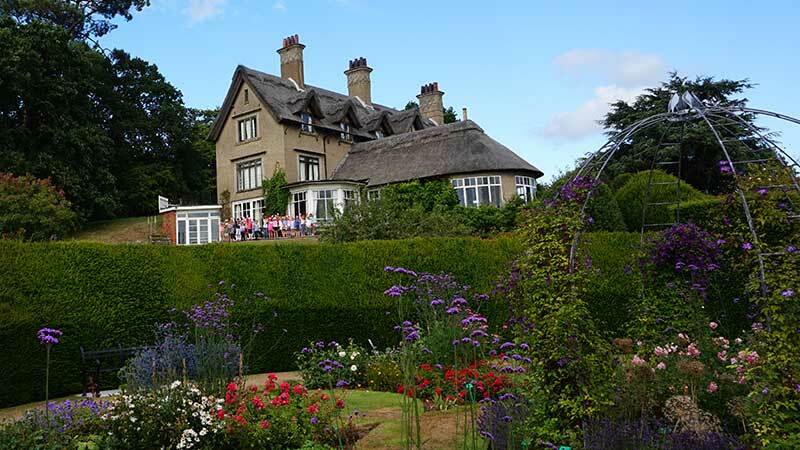 The formal gardens surrounding the house are closed to the public (including Friends of How Hill) when schools and other groups are in residence, and during events. The gates will display special signs when the gardens are open at other times. If in doubt, please call first to check. 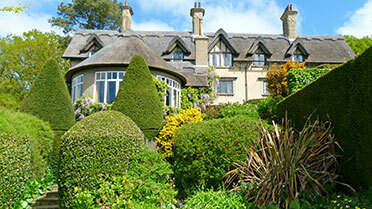 Edward Boardman, a renowned local architect, designed the formal house gardens as you see them today. 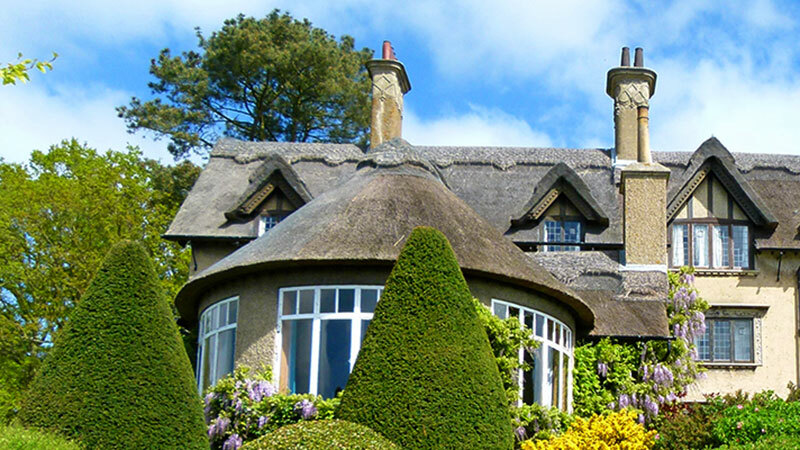 Created just after World War I, the garden rooms are surrounded by lawned and wild grass areas. 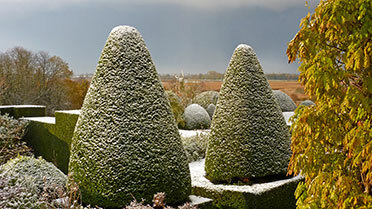 The boundary borders consist of a variety of trees and shrubs. Today thanks to our one and only gardener Chris, our gardens are a special place to be and are enjoyed by all our visitors young and old. 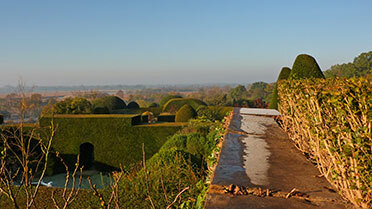 The yew hedges were planted in the 1920s to create various rooms within the garden. Each room has a different layout and theme, which is in keeping with the style of the house and the Arts and Craft era. 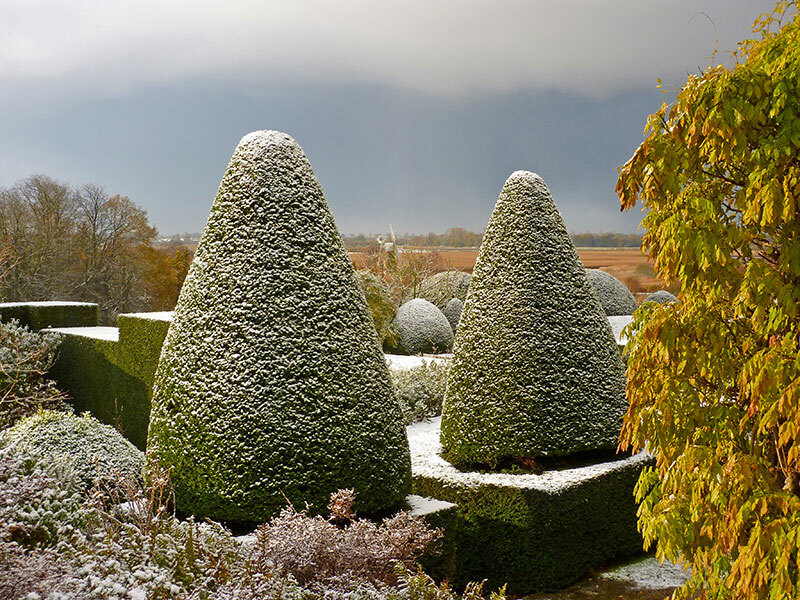 Yew is slow growing which means we only have to trim them once a year. This is done during late August/September and takes two people up to six weeks to complete. 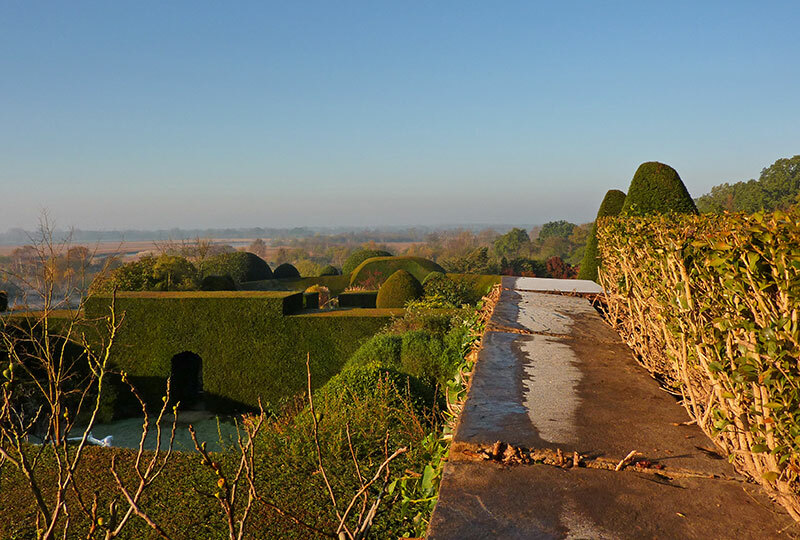 Our walled garden faces due south and has various climbers on the wall and tender shrubs beneath. There is also a large fig tree which was originally planted by the Boardman family and still produces lots of fruit each year. 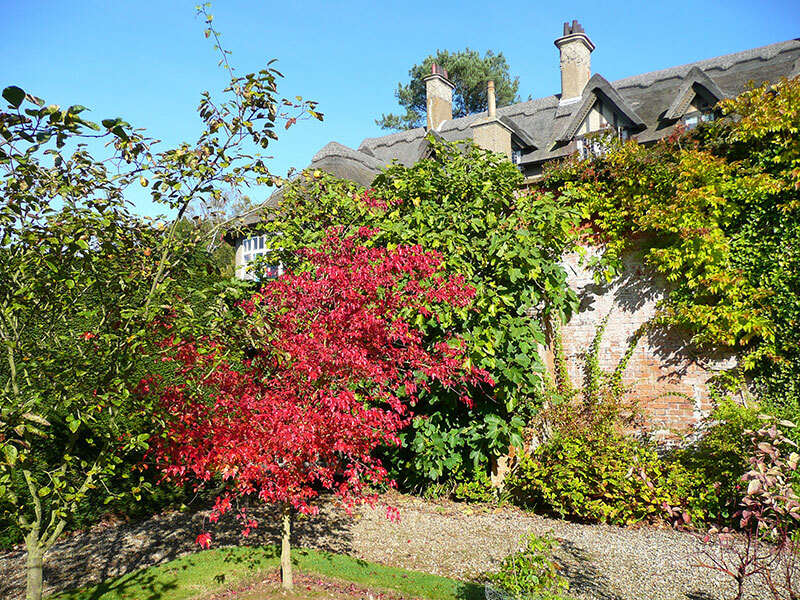 The lawn is surrounded by a gravel path and a range of Quince, Acers and Salix trees. 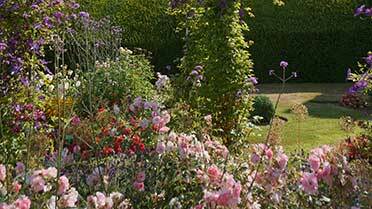 The long border garden with its herbaceous and rose borders is now a fragrant haven for butterflies and bees. 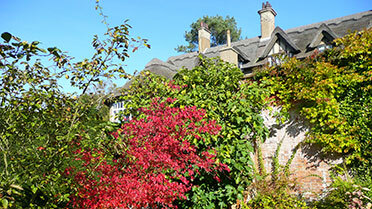 It was originally overgrown and neglected and was one of the first projects our gardener Chris began in 2007. 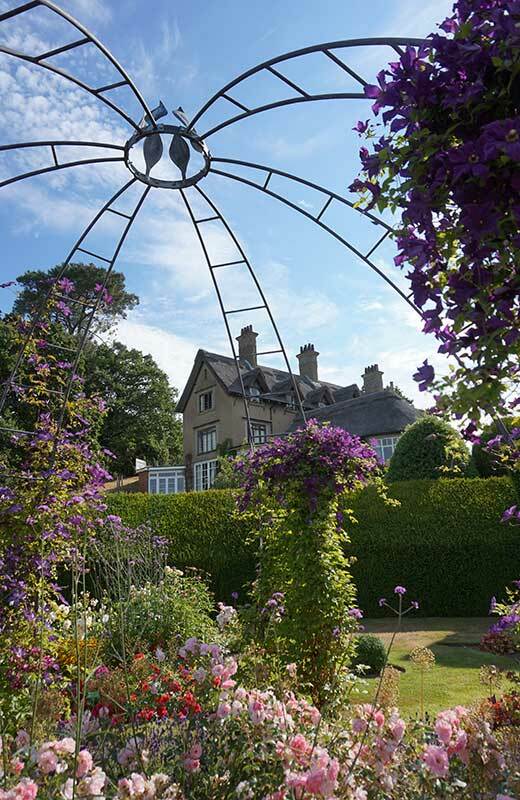 The square garden is situated between the walled garden and white garden and has four assorted bed of shrubs and perennials. Look up at the house and you will see it is cleverly framed by the topiary bay trees and sculptured yew. Steps lead up to the wisteria covered loggia, an unusual Arts and Craft structure which was designed as a room between the house and gardens. The white garden as the name suggests was originally intended to feature only white plants and flowers. The addition some years ago of a large pergola which casts a lot of shade has provided us with a challenge as most white plants need lots of light. A work in progress, we are trialing different plants to achieve the right look. Rose Garden our most recent project, the rose garden has been restored with funding from The Norfolk Gardens Trust. The area was originally planted as a rose garden by the Boardman family featuring seven beds. Some years ago the beds were re-planted with ornamental grasses which over time became invasive and unruly. It was felt that the grass garden was not in keeping with the style of the other gardens and in 2014 we began the process of restoring it. 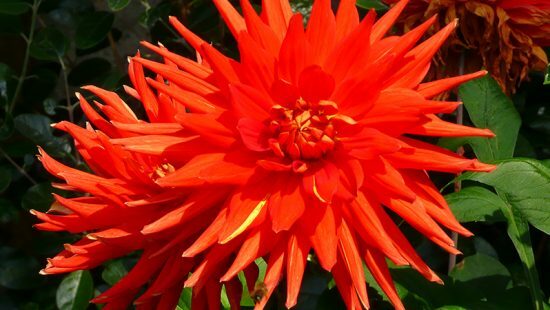 The beds are planted with a range of modern roses and are complemented with a variety of bulbs and perennials which are more in keeping with the whole garden layout. The bespoke entrance gates and rose dome, crafted by local blacksmith Bill Cordaroy were designed to represent the style of the house and surrounding Broadland area. Stand with the arched gate behind you and you will see we have recreated the vista between the garden rooms as originally intended when the hedges were planted.